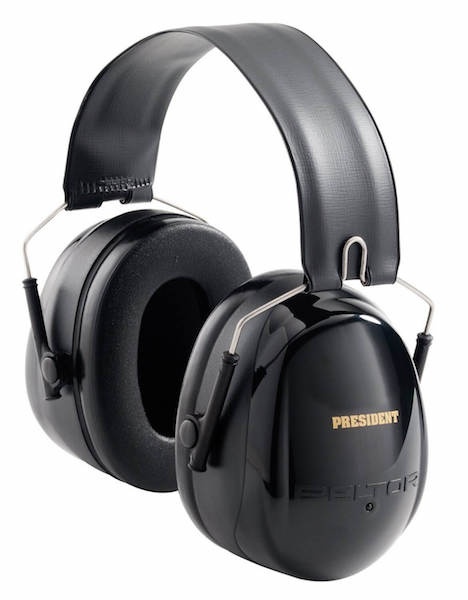 3M Peltor Black President Earmuff, used to help protect ears against noises at or exceeding 85 decibels, conveniently compact and folds away for portability. Has a Noise Reduction Rating (NRR) of 26 decibels. 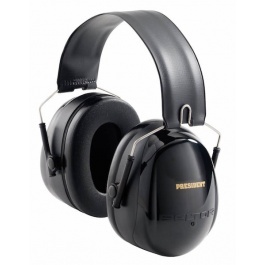 Fully adjustable and comfortable, 3M Peltor Black President Earmuff is a great choice in hearing protection for both the pro and DIYer.